Welcome to the Armor Games category, Soldier! Download and play the best unblocked and hacked Armor Games for free on Games.lol! The best of tanks, robots and war games await. No need for emulators! Just play your favorite games directly on PC! You know how the saying goes, “War…war never changes.” Or maybe that other saying, “War…war has changed.” Well, that depends if you’re a Fallout fan or a Metal Gear Solid fan but there’s one thing for sure. War games are fun, especially on PC! This category specializes in everything that includes hard steel, cold blades and massive explosions! If you like warfare, then you’re in the right place! Non-stop action awaits you as you venture to different worlds filled with robots, artillery, and even green plastic men that come to life! But, if you’re worried about too much violence, don’t worry! All of our games in this category are great even for the whole family. What’s more, both boys and girls are going to love all the explosive content we have in store for you. Whether you’re playing single player or multiplayer, these games bring more action to you more than a Michael Bay movie with explosions every minute! Indulge in the heavy-hitting titles such as Army Men Strike, Tanks A Lot, and Robot Fighting 2! Play solo or bring a friend with you for an awesome 1v1 experience that only such warfare games can give you! What are you waiting for, Solder? Download Armor Games unblocked through Games.lol! That is why we at Games.lol give you a category for all you grizzly war shooter fans: armor games. Armor games include all the fancy tech and big toys of war games. Whether it’s tanks, aircraft, ships or robots, armor games are where it’s at. Most importantly, we’ve got a wide selection for you to be a commander in. Want a strategic game that lets you feel like a real commander of an army? We got it! Need a game that lets you be a one-man army blowing up enemies to bits? We sure have it! How about an epic brawl between giant robots in a city? Oh, we certainly cover you with that one. Forget about the Under Armour All American games because we have what you need for complete entertainment. Play nothing but the best and most explosive warfare armour games around that got multiple awards for the mobile platform. Now, experience it all directly on PC without any of that emulator fuss that’s eating your PC’s memory! Download the best armor games unblocked (but not hacked) only here on Games.lol! Tanks A Lot! is a multiplayer battle arena game where it’s you and your friends versus a squad of real-life enemies. This has always been hailed as one of the best armor games of the mobile platform. We are proud to have it available for you to download for free on PC. Tanks A Lot! lets you customize your own tank with each part playing a significant role. Because of the customization, Tanks A Lot! will always feature unique models in every match on both sides including yours and the enemies. Choose from different heads including machine guns, laser beams, cannons, and flamethrowers. Do you prefer your tank to crawl like a spider or be the traditional armored car? It’s all about your choices here and there are no wrong decisions at all. 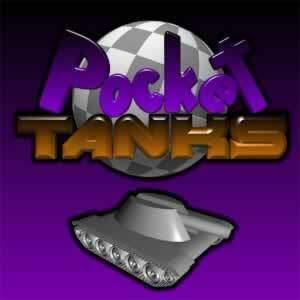 Tanks A Lot is a 3v3 game that includes various game modes including classic team deathmatch and objectives. Plus, there are events happening every month that keeps the game feeling fresh and new all the time. Matchmaking is also quick so that means there is no room to wait very long in. You’ll be tanking us very much for adding in custom key bindings for you to play on the PC directly. Have you ever wanted to build your own robot in real life but don’t know a thing about Robotics? Take it easy there because we got you covered! Welcome to the world of Robot Fighting 2: a tournament where only the best robot prevails. Robot Fighting 2 is the much-awaited sequel that makes everything bigger and worse than the first game. Set yourself apart from the others by creating the deadliest and most powerful hacked robot alive! Take yourself into arenas that has you battling various AI opponents or go online PVP. Besides these, you get to customize your robot how you want it, what you want it to be. You have unlimited freedom to create your robot. If creating a tank-type robot with melee weapons is your thing, go ahead. Want to look more anthropomorphic like the robots you see in anime? It’s all here. What matters, in the end, is you being at the top of the ladder. Whether you want to fight challenging AI opponents or participate in the online PVP arena, the choice is up to you. And the best part? There are no such things as pay to win items in this game! It all depends on your skills. The classic Army Men series returns! 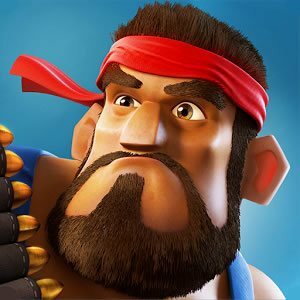 It has a brand-new look that welcomes both fans of the old series as well as new players. Army Men Strike takes the series back to the roots that made it glorious: Real-Time Strategy. You get to play as the Green army – the protagonist faction of the game. You’re in a never-ending war with the Tan army who’ll stop at nothing until the last Green soldier is eliminated. The fate of the Greens is in your hands, General. This isn’t child’s play anymore. The plastic army men come to life and have become real war pigs whose duty is to be in a never-ending war. Command your troops into victory by planning strategic moves that will turn the tides of battle to your favor. Customize the look of your army by adding in cosmetics of your choice. Conquer the land, sea, and air with the best of the best the Green army has to offer. Army Men Strike is a critically-acclaimed armor game that blends classic RTS with modern simplistic action gameplay. You’ll play all disciplines of the military from infantry, cavalry to airborne. Play the game directly on the PC for free without having to use an emulator. Play award-winning Armor Games today for free on PC only here on Games.lol! *Disclaimer: This category is not associated with the Armor Games Com website.